So far Ilias - Baila Productions has created 73 blog entries. It’s quite surprising to know that even nowadays Salsa dancing is misunderstood by those who have never tried it! You always wanted to try, but you’re holding back because you imagine that to learn this dance you need some of kind of crazy skill? Maybe, you’re a bit shy and you’re thinking you’ll be the only one that has 2 left feet. First of all, you don’t need to know how to dance to learn Salsa. At our school, you don’t a partner either. You don’t need gifted. You don’t need to be athlete. Rest assured that every one in the beginner level has no particular Salsa skills and many like you say they have 2 left feet. You just need to be willing to try something new with an open mind and smile. Let sum it up! 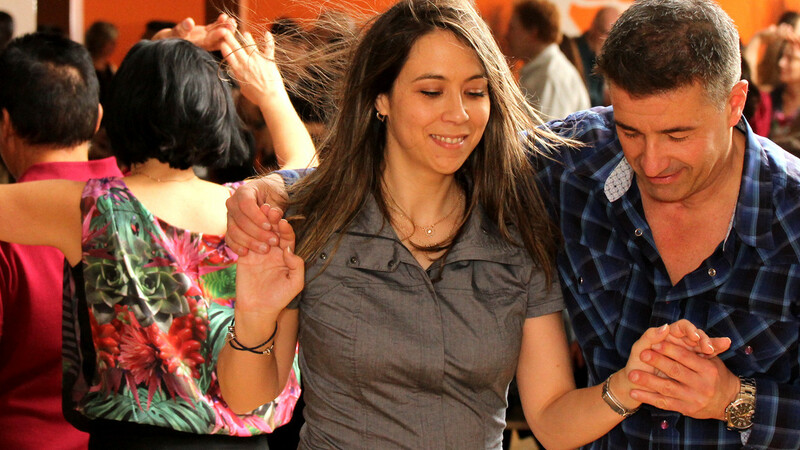 Salsa is a pretext to get together with like minded passionate people to move, have fun and laugh. It’s a shortcut to Happiness. So it makes the perfect gift to give to a loved one or even yourself. So look no further contact us and we’ll be glad to issue a gift certificate of any amount you desire. We are Salsa blackbelts and 2 Left feet specialists 14 years at your service ! 1. Do I need a partner to join the class? 2. What kind of shoes should I wear 3. Do I need specific shoes ? 4. How long will it take me to learn Salsa ? After watching the amazing Narcos series on Netflix I had a funny idea : Having Pablo and Tata dance ChaChaCha Together ;) I would like to thank Wendy, Olivette and the JeansJeansJeans store for finding a pair of jeans directly from the 80s.